So its generally accepted that cacti like low amounts of nitrogen, however it is speculated that trichs may be able to handle more than most. My understanding is that while excess nitrogen will cause rapid growth and pupping in tirhc's, it leaves them vulnerable to diseases and epsts as theyve devoted most of their energy towards growth, rather than defense. I've experimented a little bit with high bnitrogen fertilizers on trich's and had fairly poor results. I used a high nitrogen fertilizer (somewhat excessively) on a potted pachanoi, it grew a LOT, and threw out 2-3 pups in one season. However, after coming out of dormancy I did not continue this fertilizing regimen and the cactus quickly deflated all of its ribs (think a more cereus look than trichocereus). I did a simmilar test on an old, rootbound, potted peruvianus. It grew quite rapidly and pupped prolifically (6-7 pups, but at the time it had no growing tips) however upon ceasing the regimen it quickly became heavily infested with scale bugs. I tried to eradicate them by scraping and applying an insecticidal soap once a week, but after a few weeks suddenly (overnight) the whole cactus developed oozing black spots, which have now faded to corking, i'm amazed it didn't die (yet). My experiments seem to validate the lowered defense hypothesis. However, it leaves a few questions to be answered. If I had not ceased fertilization would these results still be as prevalent and severe? And of particular interest to me, by providing some outside source of protection (beneficial insects like ants to ward off scale bugs potentially) could these negative effects be mitigated to a degree in which high nitrogen fertilization would be worthwhile? Currently i have a small cactus garden planted at the base of an albizia tree. Albizia is in the pea family, and has nitrogen fixing nodules in its roots that allow atmospheric nitrogen to be converted for use by plants. Albizia trees are known to drastically raise the nutrient content of the soil they are in. Furthermore, they have extra-floral nectaries, which promote plant-insect relationships, specifically with ants. Im wondering if this combination (both a constant source of nitrogen as well as pest-fighting ants) could be a successful way to grow cacti faster, without having to worry as much about leaving them defenseless. What are all of your personal experiences with various nutrient ratios in Trichs? anyone play around with introducing beneficial bugs to the ecosystem? how about mycorhizal fungi? Also If any of you know of any scholarly articles that cover experiments with nutrient ratios in cacti a link, or article title would be greatly appreciated! Tl:Dr: Tell me about your experiences with different nute levels in cacti, specifically high nitrogen. I did. I don't use pesticides or fungicides on my cacti, ^the time i mention above is the only time ive attempted to use any form of pest control on my plants, and after the results i dont think I ever will again. I understand basic cactus nutrition, the question I'm asking above requires scientific studies involving large numbers of plants at various levels of nutrition with all other variables controlled. As I am currently not capable of a study of this scale, I'm looking for the next best thing, personal experiences and observations from some of the people with the most knowledge of these cacti. Ive heard of people using full strength rose fertilizer on their trichs who claim its very succesful, my similar experiments did not fare as well, I'm wondering what variables can assist in defending the cacti, so that it can devote more energy (and nitrogen) to growth, rather than excess defense mechanisms. Just because it is its native environment doesnt mean its the optimal setup nutrient-wise, however from a defense perspective I should do some research on the environment trichs grow in. Finding out what bugs and fungi form relationships with these cacti in their native environment could shed some excellent insight into what these cacti have evolved to expect in terms of "outside" help. N comes in several ion forms. To a degree different forms have different effects. This is well known in terms of basic plant biology. 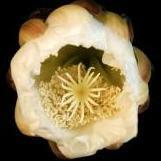 However when you examine the literature of cactus biology it immediately becomes clear that N is vital to cacti and many cacti do not grow well without it. But then the ability of a plant to use N is not a simple thing, a plant in shade has different N requirements than a plant in full sun. But in terms of experience, i did experiment with about ten different fertilizers, from fish emulsion to guano and many forms of synthetic ferts including ammonium sulfate, a rich source of N.
I found only positive effects of high N application in Trichocereus, including with foliar feeding. No bacterial, fungal or insect issues, though I did employ neem as an insect control for root mealy bugs as a preventative. I found unfertilized and underfertilized plants to grow more slowly, to turn yellow in full sun and tolerate less sun, to be more prone to insect issues including wooly aphis and scale, and to be generally weaker in every possible way. My experiments were not alone, another grower I was in communication with found on his own that the healthiest plants he could maintain were those he gave lots of food, full sun and plenty of water to. Many people i know do not feed heavily or at all, but in visiting their gardens the difference is like night and day. It is the same difference as seeing a person who gets to eat daily and one who gets to eat weekly, less food does not make one healthier. But then there is the science, tissue analysis of cacti in general does not suggest they require less N, rather it suggests they have normal to high requirements of it. Studies on cactus health and production also demonstrate this. I will post some data on it shortly. The chart does not post well, but you can see the general information. If you look into cactus biology you will find N is a major limiting factor. Now, lets come up with a working definition of excess N, how much is too much? In what form of aion? For a plant of what size? In how much sun? Metabolism is temperature dependent, so shuts off at too warm or too cold of a temp. My plants always grew the most when days and nights were slightly cool such as in fall and spring. I fed larger plants more and smaller ones less. I found well fed plants to be the healthiest and the fastest growing. So how much N of what form is too much? How is too much defined? I used a high nitrogen fertilizer (somewhat excessively) on a potted pachanoi, it grew a LOT, and threw out 2-3 pups in one season. However, after coming out of dormancy I did not continue this fertilizing regimen and the cactus quickly deflated all of its ribs (think a more cereus look than trichocereus). I did a simmilar test on an old, rootbound, potted peruvianus. It grew quite rapidly and pupped prolifically (6-7 pups, but at the time it had no growing tips) however upon ceasing the regimen it quickly became heavily infested with scale bugs. This is a story about plants doing well when fed high N and then doing poorly when they were not. It is not a story of plants doing poorly when fed high N. The effect for people is similar, if you take a person and feed them well, they will do well, then if you stop feeding them they will not be as healthy. That is normal. As for defense, the amount of sun is an issue there, but I am unable to discuss that aspect adequately at this forum per the rules. lets put it this way, basically plants grown in shadow need less nitrogen to fulfill their genetic potential. Compared to plants grown in the sun. THANK YOU GUNTER! the reason i see it as a story of a cactus that did poorly after being fed high N is because after some time the skinny ribs and unhealthy bits plumped back up and are now doing excellent, still with minimal N. Thank you for your knowledgable posts, I will give a more thorough response when i get home. It is important to balance N with other macro and micro nutes. Lots of N alone is uneven. it was like falling head first into the proverbial candy jar.